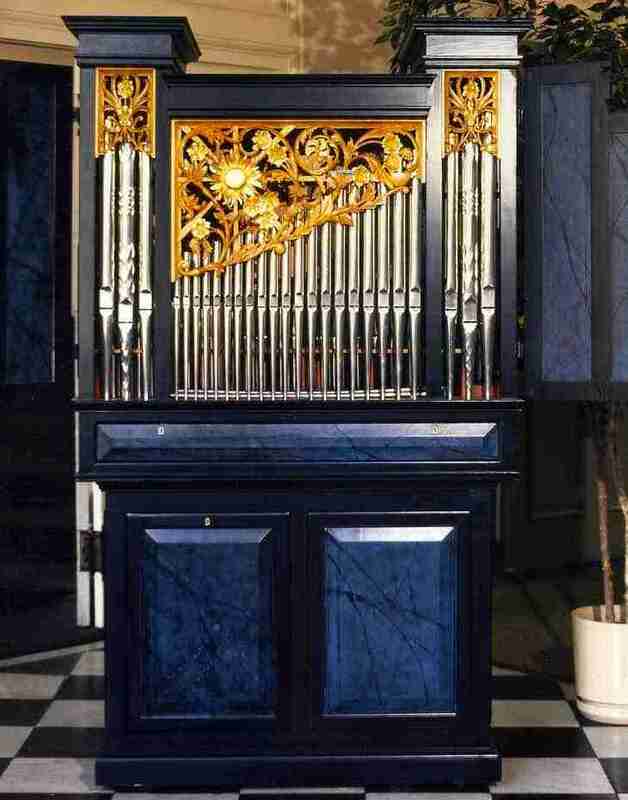 This cabinet organ of four stops was purchased by the Peabody Institute (part of the Johns Hopkins University) for use with ensembles and choruses, as well as recitative and continuo work. It has also been used for recital and lecture-recitals on occasion. Recently it was transported to New York to accompany the Monteverdi Choir and Orchestra, as it proved difficult to find an instrument in the New York area that could easily be tuned to A430. The pipes speak away from the player to afford a better feel for the balance with other instruments. 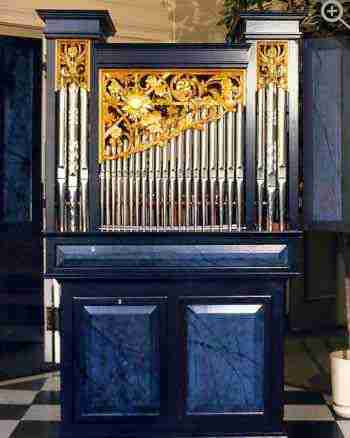 As well as being tuneable to A430, the instrument can be also transposed to A415 (baroque pitch) whereby, unusually, the low C is retained. All stops divide at middle C which allows different registrations in the bass and treble, a useful attribute. The fourth stop is a 1' in the bass and a 1 1/3' in the treble. This gives a solo character to the treble and also gives the effect of a small mixture.